The self-styled “Guru” or “Expert” complex. As we get older (and wiser), certain truths seem to reveal themselves. I’ve talked about some that have smacked me over the head (the “What I’ve Learned” post from 2009, my hubristic “Jeremy’s Rules for a Better Life“, the recent “What matters in life: Connection and Giving“) here before. Looking back on them, there is nothing that earth shattering that hasn’t been talked about for thousands of years (from the Tao Te Ching, to The Art of Living, to parts of the Bible, to “You Get What You Give” by The New Radicals). The recognition that we are all fundamentally connected and similar, with hopes and fears and isolating behaviors and connecting behaviors that serve us and don’t serve us and that we ultimately can learn how to address these challenges can be heady stuff. When the world comes into focus around some core truths, I understand the impulse to tell the world “I get it!” I really do. There’s an excitement that builds around “I know what your problem is, and I can help” that is intoxicating. The problem starts when the ego starts getting involved. We go from “I can help!” to “I’m an expert. I’m better than other people.” Which is toxic to a relationship. The truth is, expertise has a shelf life. We think we’ve “arrived” at the answer to all the problems, and if only people would listen to us everything would be better. And then the world changes. And we realize we don’t have all the answers. And we learn to stop chasing tomorrow. And gradually wisdom replaces expertise. So, be wary of those who call themselves “Experts” and “Gurus” and “Mavens” and “Connectors”. They too are on a journey. Show them kindness, and remember that they came pre-installed with the same buggy self-replicating hardware we did. 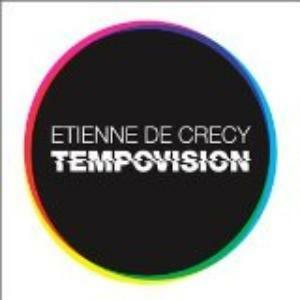 Whatever happened to Etienne De Crecy? Apparently he’s got a live show like Daft Punk. Three Sesame Street-related Videos, alike in dignity. Gspace lets you use 2gbs of your GMail account for pure file storage.